What are the limitations of the Fed’s power? It’s neither impotent nor omnipotent! Summary: Although one of the most power agencies of the US government, obsessively discussed in the financial news, it remains one of the least well understood. Here we examine the limitations on its power. Readers can decide for themselves if these limitations are too tight, or too loose. Next in a series about Central Banks, the giants of State power. The development of central banking in the century before WWI was one of the last few innovations necessary to produce the nearly omnipotent modern State. Central banks provided the mechanism to not only easily finance large projects, such as wars and great societies, but also harness large banks to the State’s needs (for their mutual gain). The ability to print money, set interest rates, and harness banks’ power to lend gives the illusion of omnipotence. But life means limits. Central banks have both hard boundaries to their abilities — and a hidden weakness. Central banks have well known limits to their powers of monetary stimulus, no matter how exercised. For more about the Federal Reserve see What every American needs to know about the Federal Reserve System. — Milton Friedman, The Counter-Revolution in Monetary Theory (1970). Central banks can stop and start inflation by controlling the nation’s money supply. Stopping inflation requires painful measures, but with the certainty of success. Starting and managing useful inflation requires more skill. Why create inflation? Unanticipated inflation acts as the magic sauce of monetary policy. Quiet, mild, relentless. It lowers the real interest rates. If we also have wage growth slightly above inflation, then our crushing debts evaporate painlessly (as we erased aprox 1/3 of our WWII debt). Bernanke literally wrote the book on this, Inflation Targeting (1998). There are two limits to central bank’s ability to manage inflation. First, the nation’s currency. The central bank can expand the money supply without limit — with effects varying depending on its internal circumstances. But it will depress the value of the currency. A weak currency can boost exports, beneficial if not offset by the increased cost of exports (eg, China and Germany have done this successfully). At some point, however, a currency collapse comes — with horrific consequences. The second limiting factor: it requires marks — people unaware of the coming inflation and its consequences. That was so in Germany and Austria after WWI (in the early 1920’s), just like Americans in the late 1960’s and 1970’s (our first peacetime inflation). Next time we won’t be so easy to fool. Inflation was the formative economic experience of the boomers. Like “survivors” of the Great Depression, they have waited their entire lives for a repeat of this formative experience — what would be their greatest opportunity to gamble and win! The more people prepare for inflation, the less the government benefits from it. Consider the situation (exaggerated for emphasis) in 2 years (to pick an arbitrary number), when (if) the recovery comes. Everybody (including elderly widows in Smallville) will own only hard assets, inflation protected securities, or short-term debt. The average maturity of the Federal debt will be 2 weeks (vs. about 4 years today). Under these circumstances the government must avoid inflation, as the resulting increase in its interest cost would be lethal. Just like Japan today, with its debt of 2x GDP and of a short average maturity. With QE3 the Fed seeks to induce a controlled reflation so that real short-term treasury interest rates go negative. It’s one of the few treatments for a liquidity trap (see Wikipedia). They seek moderate inflation so that investors and businesspeople will act on the lower real rates — but without sacrificing the Fed’s credibility as an inflation-fighter won during the past 34 years. It’s a delicate game, discussed in the next post of this series. Is the US Government deliberately underestimating inflation?. The geopolitics of inflation, an introduction. We can try to inflate away the government’s debt, but we’ll go broke before succeeding. Inflation is coming! 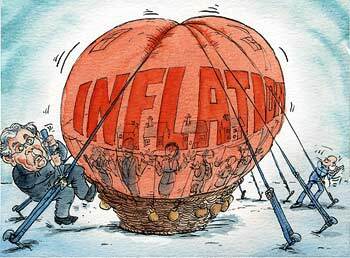 Inflation is coming!. Inciting fear of inflation in our minds for political gain (we are easily led). 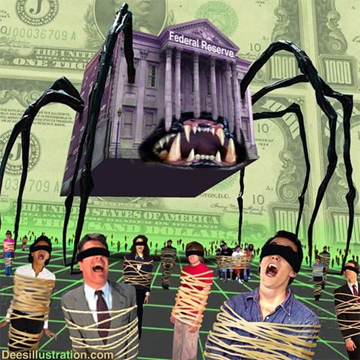 Update on the inflation hysteria, the invisible monster about to devour us!. — Economists’ aphorism, source unknown. Hyperinflation is a dire risk for a State. Not suicidal, as often described (the hyperinflation of 1921-1924 weakened the Weimar Republic, but it was the deflationary collapse of 1929-1932 that brought Hitler to power in 1933). But the destructive powers of hyperinflation have been long known. So why do nations resort to it? It’s a choice, made when the alternative is default: the State’s inability to pay its bills. During wartime, defeat. The danger of hyperinflation seems — and often proves to be — the best available course. Hyperinflation is the monetary result of a fiscal problem. Hyperinflation reflects a limitation of Central Bank authority: ultimately they’re a State institution, and must obey commands even it results in the loss of their institutional credibility. A lesson from the Weimar Republic about balancing the budget. Would a default by the US government help America?. The Fed is not wildly printing money, as yet no hyperinflation, we’re not becoming Zimbabwe. We might default on our governments’ debt in the future. Do you know how often we’ve done so in the past? Explaining the gold standard, the Euro, Default, Deflation, and Hyperinflation. Deflation is the quiet killer of high-debt economies, like ours. A small decrease in prices over a few years can initiate debt deflation and depression. Even a high savings economy like Japan has suffered since the 1989 crash, locked into a low-growth mode sustained only by massive fiscal deficits which will eventually destroy their political regime (and which may have already passed the point of no return). The Fed’s success since 2007 vindicated his bold words, as they neutralized the massive deflationary effects of the crash and subsequent long recession. But their laurels might be undeserved. As described in last week’s post, the emerging nations have massively expanded their monetary supplies since 2007, and this excess liquidity has sloshed around the world — and might have played a large role in stabilizing the world. Now their current account balances shrink, as do their massively purchases of western nations’ securities. The next year will show what effects this has, and if there remains a deflationary impulse in the developed nations, Central Banks ability to defeat deflation will again get tested. About debt deflation: Debt – the core problem of this financial crisis, which also explains how we got in this mess. 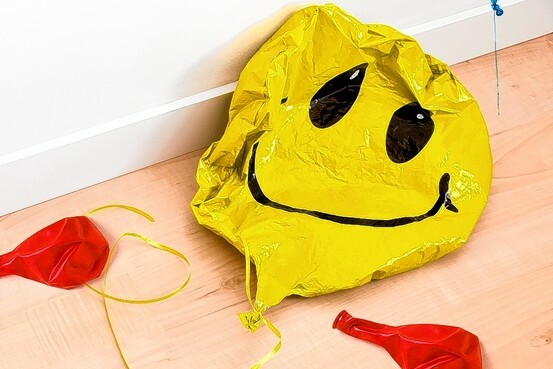 All about deflation, the quiet killer of modern economies. — attributed to William McChesney Martin Jr, Chairman of the Fed from 1951-1970. Central Banks were designed as independent, more or less, for two reasons: to allow politicians to allow others to take unpleasant decisions (eg, starting recessions to cool an overheated economy) and to have greater institutional credibility as inflation-fighters than the legislature. This creates an inherent weakness: unelected officials (in the US many are banker officers) making political decisions. If they fight inflation, they’re blamed for the higher interest rates and recessions. If there is a long period of inflation — even slow inflation, like during the 99 history of the Fed) — they’re condemned as incompetent (even if much of that was designed as a benign way to pay down war debt). This weak legitimacy has often worried the Fed leadership, restraining their response to even visible problems until they had support from elected officials. The best example is the 1978 Humphrey Hawkins Act and the appointment of Volcker. The first de facto authorized the switch to monetarism as Fed doctrine by required the Fed to set one-year target ranges for money supply growth twice a year and to report the targets to Congress (The experiment quickly failed, and this requirement was abandoned when it expired in 2000. See this this NY Fed paper for details.). The latter, a response to the rapidly worsening financial balances of the US economy, gave a new Chairman the legitimacy to inflict great pain to achieve a cure. Now we face another difficult time, in some ways worse than 1978. Again the Fed tries new solutions, although no theory as well-developed and radical as monetarism. The difference is that one major party has made hostility to the Fed a core party of its platform. The Republican Party platform advocates another commission to study the desirability of a gold stand (like the one 30 years ago). GOP legislatures support bills to radically restructure the Fed (eg, this bill by Rep Kevin Brady (R-TX), Vice-Chairman of Congress’ Joint Economic Committee). Conservative publications seethe with hostility to the Fed. Errors by the Fed, real or imagined, will greatly embolden its opponents. A part of America’s public policy apparatus, Fed remains such subject to changes in Congressional sentiment. They are independent only so long as they retain the confidence of a majority in Congress. The Fed’s leadership has to worry about institutional legitimacy of the Fed should they adopt radical new policies that earn the enmity of one of the two major parties. That’s the ultimate limitation on their actions. Today, as the Fed takes another step of unconventional monetary policy, legitimacy is the only visible limit on Fed action. “GOP Fed up with Ben Bernanke” at Politico. “Restoring The Legitimacy Of The Federal Reserve“, Simon Johnson (former Chief Economist, IMF) at the Baseline Scenario. Undercutting people’s trust in the Republic: another step to destroying the Republic — Attacking the Fed is part of a larger project. Why do so many Americans want a gold-based currency?. What would a gold-backed currency do to America? The Fed’s critics mustn’t forget this: The Fed has implemented part of recommendation #1: stabilize the financial system. The falling US dollar – bane or boon? During one of conservative’s fits: The Fed is not wildly printing money, as yet no hyperinflation, we’re not becoming Zimbabwe. We’re still blinded by our fetters of the mind and so unable to fix the economic crisis. Important things to know about QE2 (forewarned is forearmed). Bernanke leads us down the hole to wonderland! More about QE2. Next Post Our choice of a leader reflects our true self. What does 2012 tell about America? Another great general education post, FM. More than your average rate of typos (“How” instead of “Now”, for example) but very understandable given the pressure to get the facts right. You’ll likely refer to this post hundreds of times in the future. “Cut and paste from wikipedia” style writing is not necesssarily a bad thing, but can have its pitfalls. The central bank actually only controls the monetary base not the money supply. In a modern economy with a floating exchange rate and a compex financial su\ystem including a huge shadow banking sector, money supply is actually an endogenous variable. In fact that is not correct, on several levels. First, what is the money supply? There is no one accepted definition. Depending on the speaker and context, it can mean anything from the monetary base up thru M3. That’s an interesting issue, but of little relevance to this post. Second, and more important, the Fed has the ability to affect broader aspects of the money supply than the monetary base. That’s an essence of the difference between conventional and unconventional monetary policy. During the past several years the Fed has moved from the former into the latter, and with this month’s policy announcement the Fed has leaped into a new world. Note the difference during the past year between adjusted monetary base (-0.4% YoY) and adjusted reserves (-5.5% YoY) and M2 (+6.3% YoY). That’s Fed success. Like the onset of deflation, foretold by Bernanke in his famous 2002 speech, he predicted this too in another speech from that period (I’ll post the link later). Among other things, he spoke about the Fed’s ability to shape the economy by buying securities other than government obligations (such as treasuries and the govt-guaranteed mortgage-backed securities being bought now). Such as corporate bonds and stocks. And charging on excess bank reserves, rather than paying excess as today, paying interest on them. Once out of the box, the Fed has great powers beyond the conventional limits described by DavidS. I have often described many debates about politicized economics as wars against Econ 101. But we’re now in a world when the simplicities of Econ 101 no longer apply. Follow-up note on DavidS’ comment. I was looking for Bernanke’s seminal speech on unconventional monetary policy and noted something interest — he frequently refers to the Fed’s ability to influence the “money supply” and “money stock”. There are important but complex details of monetary theory, but he skates over when addressing — as the FM website does — a general audience. That’s an example we can all learn from, following his example as both a noted academic and senior public official. While the Fed certainly possesses great powers, my point is that their ability to influence the money supply and the general economy still has severe limitations, othersise everything would be just peachy keen , which it obviously is not. The person using Econ 101 simplicities here is Fabius Maximus himself, with his inaccurate use of the term money supply. When Chairman Bernanke was quoted on the Fed’s ability to influence the “money supply” and the “money stock”, he was obviously referring, perhaps a bit sloppily, to the Fed’s ability to influence the “money supply” by manipulating the “money stock”, which is another term for the monetary base. The recognition that the money supply is an endogenous variable in a modern economy with a floating excahnge rate, etc. can be found in no mainstream Econ 101 textbook that I know of, perhaps Fabius can show us such an Econ 101 textbook. Many people forget that there are litterally millions of participants in the market for US dollars (perhaps billions). Usually people assume that Fed easing always and unequivockably leads to inflation. These people are the so-called ‘inflationistas’. They forget about the other factors, such as loan defaults for example, which counteract the effect. Even something mundane like an individual’s personal descision to delay a purchase due to financial uncertainty has an affect on the money supply. The power of the Fed is therefore largely limited according to their ability to observe and predict the effect of these multiple influences. That’s why I think DavidS and Fabius Maximus are essentially saying the same thing, semantic disputes aside. It is important for the general public to understand what is happening to the money in their wallets as they carry it around and spend it (or don’t), mostly to avoid public policy mistakes due to misperception. I hope more people read this website and learn. Obviously I agree, since that is the point of this post. Currently, FOMC policy is formulated in terms of a target for the federal funds rate, the interest rate that banks charge one another for short-term loans. In the past, policy was formulated in terms of other indicators, such as the money supply. In 2000, when the Humphrey-Hawkins legislation requiring the Fed to set target ranges for money supply growth expired, the Fed announced that it was no longer setting such targets because money supply growth does not provide a useful benchmark for the conduct of monetary policy. The Fed was able to hit the M2 & M3 targets, more or less — but changes in monetary velocity often negated these shifts (monetarist theory assumed V was stable). The NY Fed page about the money supply (cited in this post) explains this in more detail. I am not sure where but somewhere the term currency should be used as opposed to money supply or money stock. The Fed has unlimited power to increase the Currency (Cash) as opposed the unlimited expansion of credit (an accounting technique,the checking system) which the fractional reserve banking system does have. Unfortunately, currency in circulation is a tiny fraction of money supply — by any operationally useful definition. And there is no bright line between cash and credit. That — and the resulting fluctuations in monetary velocity — wrecked the monetary experiment. For more info see the link in the post to the NY Fed paper about The Money Supply. I agree but the act of converting huge chunks of credit to cash can cause significant problems. Which is why trying to figure out the proper cash reserves on hand at banks can be a real problem as opposed to simply maintaining the proper checking accountt balances. Not so, in an important sense. You are thinking of cash and credit as qualitatively different things. They’re not. The financial products of the financial system are both credit and savings. Which is why there are so many different measures of the money supply. This was one of the factors that wrecked the monetarist experiment. We see the same phenomenon with other aspects of economic metrics. For example, what is the “true” unemployment rate? In fact there are many. The BLS tracks six (u-1 thru U-6, each broader). In this round the fed is also acting directly to prevent the liquidation of bad assets (mortgages and financial companies with gambling problems), by buying mortgages. This prevents the deflationary effect of their liquidation, and when the fed buys the mortgages, then private investors (banks etc) who would have bought them, will now buy something else, bidding up the price of stuff in general. Also devalues the dollar which is a bonus for the manufacturing industry, which is currently located in China. Their currency still follows ours and they also face potential deflation from having to liquidate bad assets (housing and industrial capacity). I think the game plan is to keep the system going long enough to be the last one standing… The Eurozone and Japan have similar problems. The Fed is buying only government-guaranteed mortgage-backed securities. This does not affect their operation, such a s the process by which delinquent mortgages are foreclosed upon. QE3 probably does lower the value of the US dollar, all other things remaining the same. As Jones notes, this would boost our exports. Unless of course our trading partners decide to follow suit. Devaluation is a game everybody can play, but not everybody can win. Sometimes everybody loses. That’s a significant aspect of the global situation! Usually the various major nations are at different parts of their business cycles. But not now. See The unseen but perhaps decisive grand alignment of the nations! Gold goes up dramatically every time the Fed announces a new round of “thin air” money printing. The market seems to be acting rationally to the devaluing of our currency by the same Fed Chief who failed to see the current Economic Crisis occurring. I don’t want to get into this, but historically movements in gold prices have a low correlation with inflation. If anyone cares (ie, will learn anything from the info), I can quote from a recent paper — yet another paper — on this by now well-documented fact. Gold prices are probably rising because since 2007 gold bugs have been screaming INFLATION. HYPERINFLATION, US DOLLAR COLLAPSE, RISING INTEREST RATES. The consistent failure of their forecasts does not deter them. Any more than failures of the second coming to arrive when predicted deters millennialists. We are probably in an age of secular deflationary tendencies, driven by several factors — but above all, the age wave in developed nations (and China, which hit the Lewis Point sometime during the past few years). People entering the labor force is inflationary (consumption rises). People retiring is deflationary (consumption slows). People tend to aggressively forecast that the future must be like the past. This just in: things change. One aspect of this shift from inflation to deflation was discussed in last week’s post about the economy. That might be the most important thing you read today. Or perhaps this week. Or this month. As the nearby charts illustrate, the link between inflation and gold is very limited. First, gold is not part of the CPI bundle, so a movement in gold will not impact inflation. Second, gold is not a good predictor of inflation. As the nearby charts illustrate, gold prices are much more volatile than headline inflation. Finally, with the correlation between gold and inflation on a YoY basis of 0.11, gold is not a great hedge against inflation. 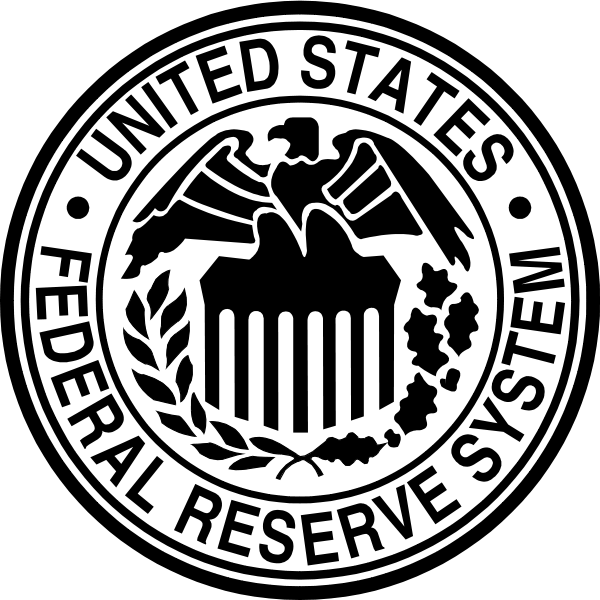 For some reason a disproportionate number of extreme right-wing Republicans seem to believe that the Federal Reserve system is some sort of sinister conspiracy by [fill the blank: Jews, Bilderbergers, Trilateral Commission members, illuminati, freemasons, etc.] to destroy the world. It has always puzzled me why right wingers cherish such intense hatred for a centralized and relatively bland regulatory institution like the Federal Reserve system, and not, say, the EPA or the FDA or OSHA or the Securities and Exchange Commission or the Interstate Commerce Commission or the FAA or the U.S. department of agriculture. It’s especially odd since the Fed so diligently serves the needs of banks. But then Conservatives seem to dislike most of the Federal government, except for the military, farm subsidies, social security/Medicare (but only for current beneficiaries). In other words, they’re neo-confederates except for parts of the Federal government that personally profit them. The Fed represents Federal power and bank profits — and bankers are silent partners in the conservative coalition. Let’s not forget one of the other purposes of the Fed: increasing the “money supply” in the form of welfare checks to the wives of rich bankers: “The Real Housewives of Wall Street” (Matt Taibbi, Rolling Stone April 12, 2011). Or the fact that they have their own private police force with law enforcement powers (see here by Pam Martens). Normally that might be a bit odd for a bank-owned private corporation, but in the banana republic that is America in the 21st century, nothing surprises me anymore. Thank you for posting this! I had forgotten this wonderful story. One of the few times the veil rips and we see clearly see the operation of of our regulatory machinery in action. There are bigger stories, but not so clearly seen. Fortunes were made in the S&L crisis, as assets worth a dollar were sold for a dime by the FDIC to well-connected insiders. “In chaos lies opportunity.”. To the politically well-connected. Right now, it’s unlikely we’ll see wage growth slightly above inflation. Wages have been pretty weak due to global competition and other factors like this. And without wage increases, inflation will result in essentially another wage cuts across the board as wages hold steady and prices rise — just another race to the bottom for wages, which, of course, will depress consumption even more. You are absolutely correct that QE3 might not work. There is a strong evidentiary and theoretical foundation for such programs, although current circumstances ( what Richard Koo calls a “balance sheet recession”, aka deleveraging) have few precedents. QE 1 was a big success, as were the similar programs by other central banks. QE2 was, according to some research, a smaller but still significant success. The similar programs of the Bank of Japan have had a mixed record, admittedly under somewhat different circumstances. But Congress and the Executive aren’t acting, so we should commend the Fed for trying, playing almost their only remaining card. Playing it weakly, probably all they can do now. You mention one little-mention failure scenario: inflation above wage growth. Debt loads of the middle class have fallen little (aggregate ratios have improved, but the 1%s added income doesn’t help middle class people pay the mortgage, or recent college graduates pay their student loans). So falling real wages for much of the work force would have horrific effects => debt deflation. For more about this see the September 19th speech by Richard Fisher (CEO, Dallas Fed). There are no risk less solutions. Worrying about the Fed’s diminished legitimacy! The Federal Reserve has a legitimacy problem. Fortunately, a potential policy shift is available that offers both the right thing for the Fed to do and a way to please sensible people on both sides of the political spectrum: raise capital requirements for megabanks. There is growing concern in Republican circles that the Fed is tipping the election toward President Obama, and Mitt Romney repeated unambiguously in August that he would not reappoint Mr. Bernanke (a Republican originally appointed by President George W. Bush). At the same time, a significant number of people on the left of American politics are concerned about how the Fed acted in the period leading up to the crisis of 2008 – blaming it for a significant failure of regulation and supervision – and about how much support it currently provides to big banks. Mitt Romney says he would fire him. A South Carolina state senator recently called him a “traitor” bent on “rotting out our republic.” Angry House Republicans say he’s making a power grab on powers the Constitution gives to Congress. Sounds like the kind of righteous conservative anger usually aimed at President Barack Obama. But it’s not. Conservative anger at Washington more and more is raining down on a new target: Federal Reserve Chairman Ben Bernanke, a mild-mannered professor, baseball fan and native South Carolinian whose most controversial decision before taking over at the central bank under President George W. Bush was deciding what kind of bagels to serve at Princeton economics department meetings. The charge: Bernanke has presided over the most “radical” actions ever taken by the Federal Reserve, a campaign of persistent money printing conservatives believe will eventually lead to higher inflation while punishing those who depend on interest on savings for their day-to-day lives, a group that includes millions of retirees on fixed incomes. Conservatives also say the Fed is enabling runaway deficit spending by Washington politicians that will ultimately result in much higher interest rates and slower growth as more and more government spending over the years must be dedicated to interest on the debt rather than more useful programs and tax relief. Bernanke and the Fed’s role in the economy are an increasingly hot topic on the campaign trail and promise to stay that way through November. David Glasner continues to be unhappy with the Bernanke/QE bashers, this time going after claims that the Fed’s monetary policy was too easy before the crisis. Well, the retrospective answer is that there was a damaging housing bubble. But there are two things you should know. First, there was widespread denial that there was a housing bubble. Second, the very same people who accuse the Fed of having been too loose then accuse it now of targeting asset prices, trying to boost the stock market rather than focusing on the real economy. (Because high unemployment apparently isn’t a sufficient reason). See the problem? The only reason for the Fed to have tightened in the naughties would have been concern about asset prices — which is the same kind of concern that is apparently dastardly now. I don’t think any of this makes sense. I think it’s just about looking for reasons to oppose easing now. Pingback: Easy money beginning to fade?